David Gillon has trained in several martial art styles since his early teens. He taught martial arts for many years while also studying and later teaching yoga. For the last few years he has concentrated solely on the practice of Taiji Quan following the teachings of Wee Kee Jin. David received his teachers certificate from Wee Kee Jin in 2007. Meraz Ahmed DO has been studying Taiji for over 10 years, and received his teachers certificate from Wee Kee Jin in 2007. 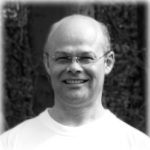 He is also experienced in several other martial arts and is a registered osteopath working in St Albans.